It has already created numerous opportunities for me, including presenting at regional and national level conferences on technology in education. "My Undergraduate course at NTU was BA (Hons) Childhood Studies. Prior to this I did a Certificate of Higher Education in French. "I chose to apply for the Multidisciplinary Masters course because I was unsure exactly what I wanted to study. The flexibility of this course meant I could study both my interest and passion alongside one another. The heavy focus on multidisciplinary working was also attractive, because it is very much up and coming in the world of employment. "As part of my major, I am studying modules in Digital Learning. These include: Creativity and Innovation Using Technology, Developing Digital Literacy in the Classroom and Anticipating and Responding to Technological Change in Educational Settings. My minor modules are in Psychology: Cognitive Psychology, Social Psychology, Developmental Psychology and Individual Differences. 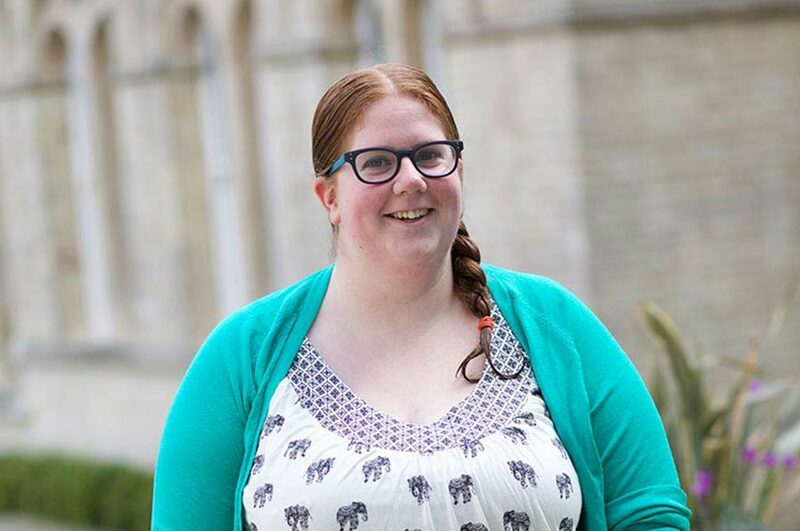 "My placement is with Reach UK, a locally established and run charity organisation. This involves working with adults who have learning disabilities or have suffered significant head injuries. "The course has given me lots of great opportunities. I've been able to tailor it to meet my personal needs, and have presented at numerous conferences. I've also gained real-world experience working on a consultancy project - something that you just can't get on other Masters courses. It has been a truly invaluable experience."